As usual every Sunday I go to Amakhosi Cultural Centre to watch installments their PLAYS ON SUNDAY installments. 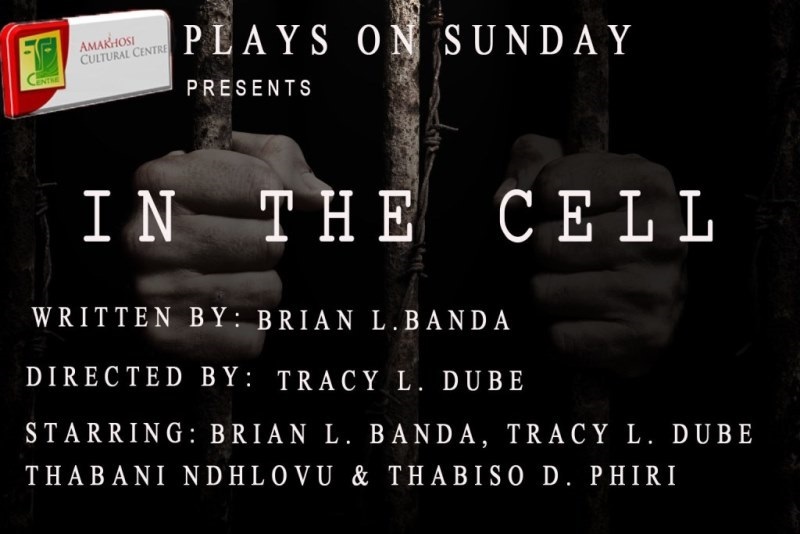 Now, last year in July I watched a play titled ‘IN THE CELL’ by four students Thabani Ndlovu(A.P.A.A), Tracy Dube (University of Botswana), Bryan Banda(A.P.A.A) and Thabiso Phiri (M.S.U). It was a very interesting play and executed to perfection by these students. 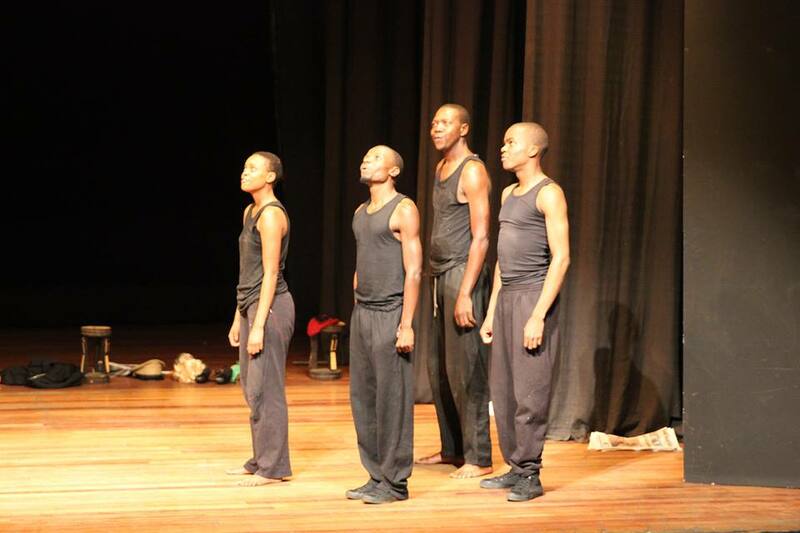 Fast-forward to the 2nd of January 2015 I saw myself watching another play by professional theatre practitioners: ‘THE TAKING’ written by Raisedon Baya and directed by the award winning Actor Memory Kumbota starring Zenzo Nyathi, Aleck Zulu, Musa Sibanda,Elton Sibanda and Gift Chakuvinga . When I discovered that the play was being staged again last weekend, I watched again. And like the first time I watched it, I could not help the sense of dejavu. I kept on realizing similarities between these two plays and midway into ‘THE TAKING’ last Saturday, it finally hit me – it was not dejavu but the actual thing. I was appalled at the mere thought that professional practitioners would copy a production from students. After recalling that some of the cast members of last weekend’s production were actually there during the showing of IN THE CELL in July last year, I put two and two together and…. wallah… I was pretty sure this was a taking. Firstly these plays are very similar in styling. In fact if one was not aware and had watched both plays, they would say that it’s the same director and not foul play on the part of these professionals. In both pieces there was a small casts which never left the stage and repeatedly transformed into various characters. This however, could be coincidental similarities but it remains overly reasonable to conclude that ‘THE TAKING’ literally took the conceptual framework of these youngsters and panel-beat it to change the thematic concerns. Again, these two plays are based on a similar concept. Both plays depict their characters as prisoners. Although they both revolve around incarceration, a slight difference is that in the production by the students, everything takes places in a jail cell, while ‘THE TAKING’ opens up in a prison. These two plays both talk about unjust incarceration of political activists. In ‘IN THE CELL’ a man (played by Thabiso Phiri) is arrested for commenting on a newspaper article which was stating that the government was planning to deploy Shona-speaking teachers in Matebeleland. This issue caused quite an ethnic brawl last year as the government was intending to implement this. In ‘THE TAKING’ a man is arrested for telling distorted stories to school pupils. He was accused for telling these pupils stories that had been laced with political connotations. Both plays employ the concept of using a newspaper as a ‘character’ so to speak; as it is used to reveal issues that push the story forward. In ‘THE TAKING’ a newspaper is used to reveal how the land reform programme was being carried out, just as how it is used to project this ethnic brawl in ‘IN THE CELL’. Lastly, a similarity is also shown in the way in which the plays reach their denounement through a court scene which should resolve issues in the play. In ‘IN THE CELL’ a court scene is used to clarify the innocence of one of the inmates who was falsely accused of killing a woman, in ‘THE TAKING’ a housemaid (Musa Sibanda) is accused of murdering her employer. These plays both have similar parallel storylines, ‘IN THE CELL’ there are two stories with a man falsely accused of murdering a woman and another one is arrested for being a ‘tribalist’ commenting on a newspaper article that was publishing a government policy and they meet in jail. In ‘THE TAKING’ there is an issue of the land reform that leads to the arrest of the housemaid and the storyteller who is arrested for telling flawed stories and they all go to prison. In summing up, if at all these similarities are mere coincidences and that there was no actual ‘taking’ of THE TAKING from these young theatre hopefuls, then I stand to be corrected. But if at all we are raising a theatre industry that will be characterised by others stealing ideas from others then I am so much worried about the future of not only theatre but all art forms that are made in this city. Amakhosi Plays on Sunday is a platform in which beginning theatre students showcase their work to be scrutinised (not taken) by those who have been in the game for a long time. This is the opportunity for the so called guru’s and art practitioners to guide these learners through this journey while telling our rich stories. What we don’t expect is that these professionals we so much look up to, to then take our unripe ideas and use them for their selfish gains. Mind you, I do not aim to tarnish anyone’s image with this article. In fact, I still think that Zenzo Nyathi, Elton Sibanda, Gift Chakuvinga, Aleck Zulu and Musa Sibanda are great actors under the leadership of the marvellous Raisedon Baya himself and I do wish them great luck in their careers. I just believe that we should correct ourselves in areas such as these if at all we couldn’t resist such temptations disguised as opportunities. There are some lines that should simply not be crossed. And if one has run out of creative stories for a production (which I doubt anyone living in present day Zimbabwe can) just accept it and retire.